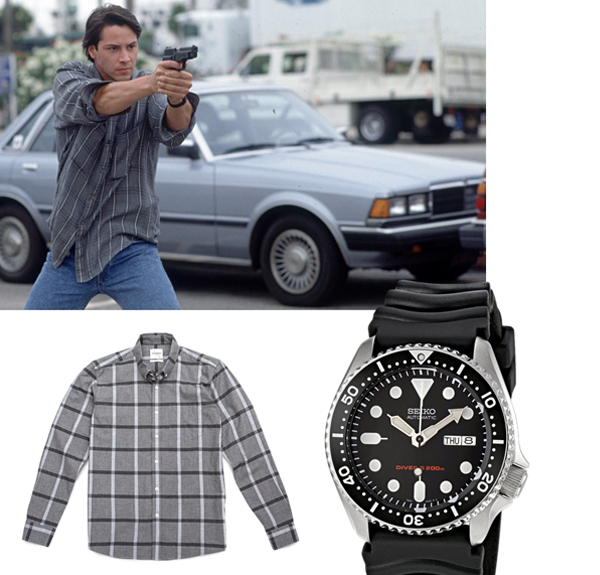 Valet just did an incredible Inspired Look post on one of our favorite movies: Point Break. We’re sharing this for a couple of reasons… 1. This movie is one of the greatest films ever, proof of which can be seen here. 2. There is a reboot coming out which looks terrible and will be terrible and everything about it is terrible, so the original should be celebrated. 3. This is a fantastic film to draw sartorial inspiration from during the Summer months because it’s cool, comfortable and effortless (much like the acting in the film, nooch). 4. 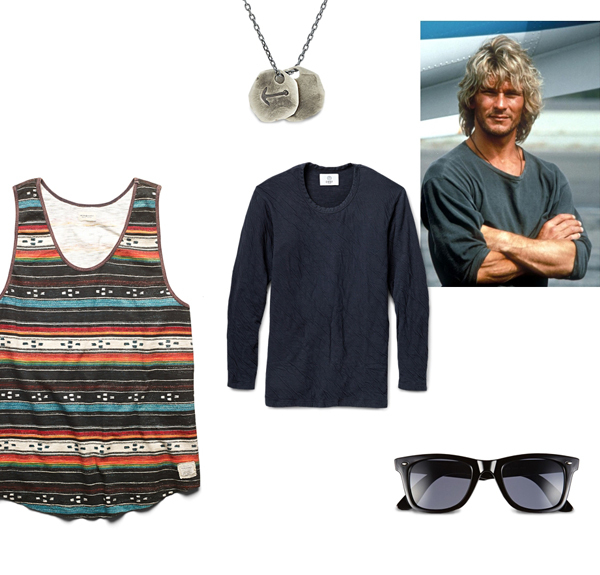 Our son is actually named after the late, great Patrick Swayze’s character, Bodhi who’s eternal wisdom is shared throughout the film and much like our son, will take you to the edge… and past it. 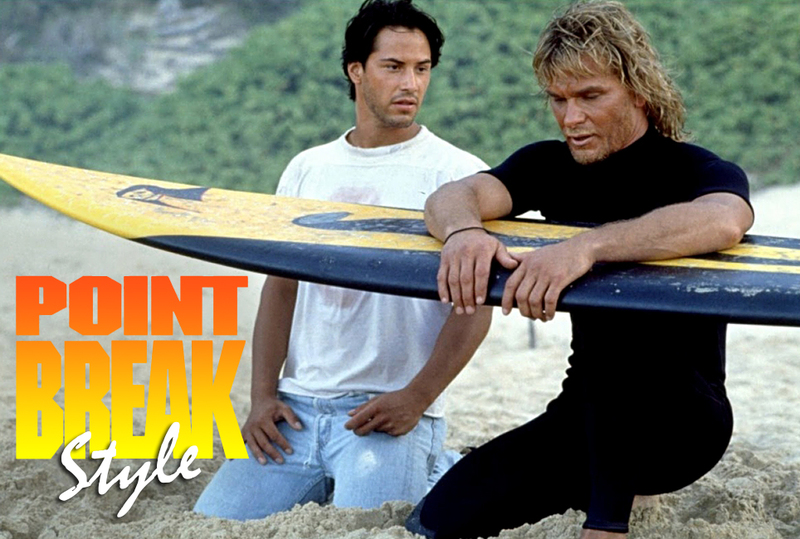 You may’ve heard that Point Break, the 1991 action movie starring Keanu Reeves, Patrick Swayze and Gary Busey, is the latest cult film getting rebooted for a new generation. And while it doesn’t seem all that promising, we’re glad that it’s got people talking about the original again. Because if you haven’t seen it in a while, the fresh take on the “buddy cop” setup is worth watching. Reeves stars as rookie FBI agent Johnny Utah, who gets mixed up with a badass gang of surfers who moonlight as bank robbers. Plus there’s some decent style in the film too. From salt-washed denim and relaxed T-shirts to canvas sneakers and rugged dive watches, they’re the kind of classic beach staples that look just as good now as they did back then.